Posted on Thursday, March 6th, 2014 at 9:21 am. If this weather is any indication, spring is well on its way–and we’re not complaining. Hopefully you’re reading this snow report from a chairlift (read: helicopter) and you’re well on your way to getting out on the snow before the temps get the best of it. As for us here at VHS: we have groups going heliskiing today and tomorrow, so you know we’re on the right track! 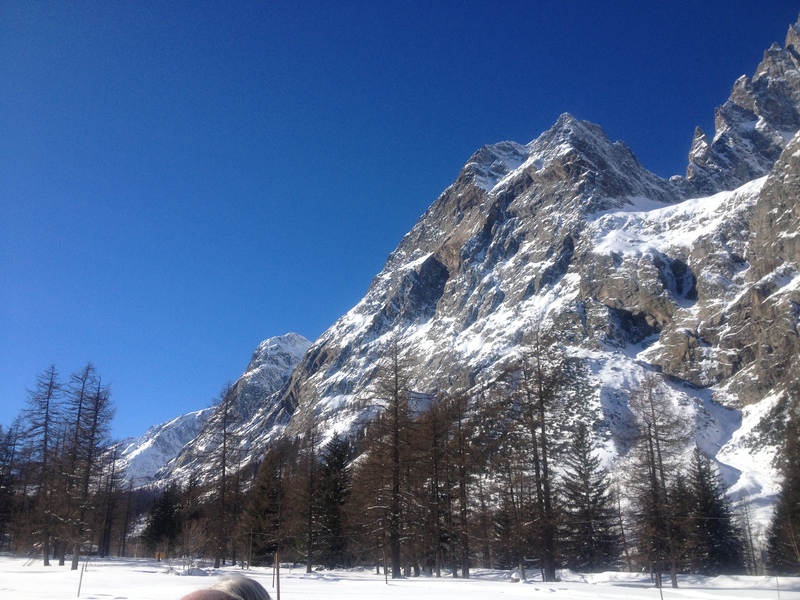 Pack the sun cream when you’re heliskiing because we’re looking at highs of 14 in the Aosta Valley this weekend. It’ll be mostly sunny with a few clouds popping in over the next few days. In the 3 Vallees, the temps order propecia 1mg will hover around 12 degrees, and the packed powder base of about 60 inches will come in handy to preserve the snow cover as the days heat up. The Espace Killy has seen up to 8 inches of fresh snow over the last few days, making those of us in Val d’Isere and Tignes very happy skiers. The incredible snow depth of 74 inches makes the terrain very accessible in Val in spite of the resort being hit hard by the half-term crowds. We’re looking forward to more bluebird days like this one as we approach the rest of the season! Posted on Tuesday, March 4th, 2014 at 8:57 am. March is here and it’s neige-ing in Les 3 Vallées! The centimeters of snow are adding up and, despite some low visibility higher up, the conditions are excellent. We can’t believe how the season is flying by so fast. The Aosta Valley will see clear skies from Friday onward, and the sun will peek out over the Espace Killy starting on Thursday. Temperatures will hover around 10, an indication that spring is on its way! The February crowds are starting to clear out, so those of us still in resort can enjoy some peace and quiet on the slopes. 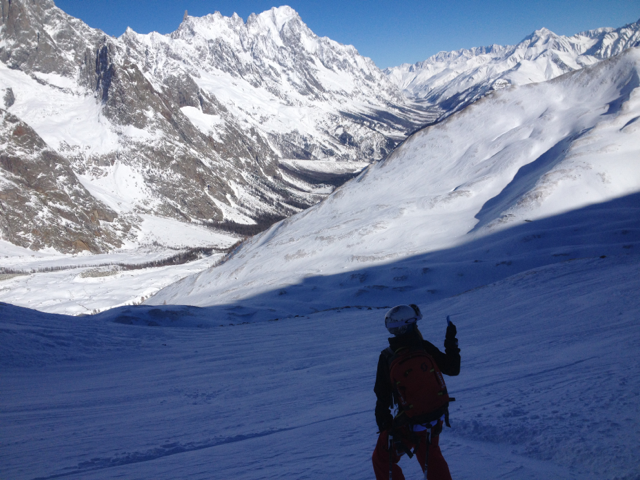 With a guide and proper buy generic propecia 1mg equipment, it’s a great time to explore new off-piste routes, such as with our Mickey’s Ears and 3 Vallees Off-Piste Experience packages..and never a better time to go heliskiing. Italy continues to get fresh snow and the bluebird days just cannot be beat. As always, there are plenty of options to keep you busy off the slopes: Bring Your Sisters tonight in Meribel, fireworks in Courchevel, and behind-the-scenes looks at snowmaking in Val d’Isere. Get out there and enjoy the powder and apres-ski activities! Posted on Thursday, February 27th, 2014 at 9:49 am. The slopes have been bustling with holidaymakers during these few weeks of half-term, which means we’ve been working overtime to get you away from the crowds and into a helicopter. 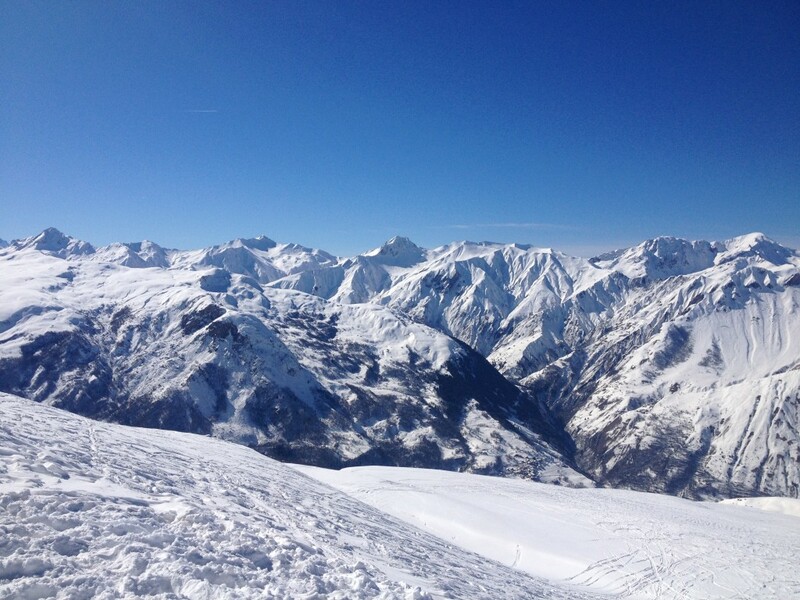 Today is gorgeous throughout France and Italy, and Saturday seems like the next bluebird day for us. We’re not complaining about the intermittent snow over the next week, however, because more flakes = more untouched pow! Temperatures will be hovering around -5°C during the day for the next few days, which will make for a pleasant ski over in Italy. The sun will be peeking out over Les 3 Vallees in between snow showers, which are a very buy cheap propecia online australia good thing at the moment to keep up the snowcover and reinforce the base. It’s looking like we’ll get 12+ centimeters on Monday alone. We’ll keep you posted about the Espace Killy, as next Wednesday has a forecast of up to 20cm of precipitation. If you want some excitement post-ski, the 12th annual International Festival of Pyrotechnic Art is happening right now in Courchevel–don’t miss the spectacular show presented each week by teams from across Europe. Luxembourg showed their chops in Courchevel Village last Thursday, and tonight the French team will bring their best fiery game to 1850. Fireworks, vin chaud, and snow? Yes, yes, yes, please! Posted on Monday, February 24th, 2014 at 7:52 am. It can be uncommon for skiers and boarders to consider how much the weather can vary in France and Italy: these Alps may share a border, but they can have very different conditions at any given moment. Italy continues to experience some of the best snow conditions in the Alps, while the French are still playing catchup. Temps will stay colder in the Aosta Valley this week, with highs near 8 and lows dipping down to -3. It’s looking to be an every-other-bluebird day week, going from possible showers today to sun tomorrow and back to sprinkles of snow on Wednesday . Keep your eye on those inboxes for our newsletters and updates in case a spare seat catches your attention! Over in France, we woke up to clear and sunny skies this morning and are expecting more snowfall to add to our weekend accumulation on Wednesday. It looks like order propecia online usa things will stay pleasant from Thursday on through the weekend. The end of half-term is still the perfect time for heliskiing, which provides the ideal getaway from the crowded slopes in addition to an unbelievably fantastic skiing experience. And the best part: no lift line queues! Are you in resort this week and want to balance your skiing with some civilian activities? Meribel is hosting a street party on Friday, 28 February with live music and more. In Courchevel, put on your Prada and test-drive a BMW for the day, located at the front de neige; and don’t miss the spectacular International Pyrotechnic Fireworks Festival on Thursday, 27 February. 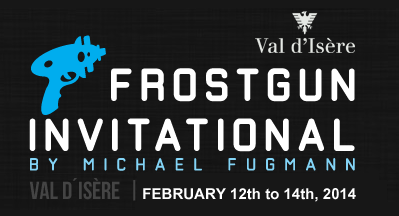 As we mentioned a few weeks back, Val d’Isere is hosting the Frostgun Invitational. You can check it out on Wednesday the 26th and hit up Chalet Doudoune afterwards, where DJ Joachim Garraud (The Spaceman) is spinning on Thursday. As always, ski safe and look out for more heliskiing! Posted on Monday, February 17th, 2014 at 9:05 am. Today couldn’t be better for heliskiing, and that’s exactly what we’re doing! We have a trip departing from Val d’Isère today heading for the clear and sunny skies and warm 12°C weather. The recent snowfall has left a fresh coating on the already near-perfect snowpack in the Aosta Valley. Be sure to check back for photos as this is sure to be an epic heli day! As for weather and snow conditions: if you’re in the 3 Valleys, you’ll find that the skies are clearing up after 24+ hours of snow. That powder is just what Meribel, Courchevel, and VT need during this busy half-term week. It looks like it’ll be a bluebird day with plenty of fresh off-piste skiing available for sure! Check out the conditions and local snow reports each day for an updated snowfall measurement and avalanche risk assessment before heading off-piste; although that’s where the best snow will be found, buy cheap propecia usa safety is always invaluable. The clouds are predicted to make an appearance tomorrow and Wednesday over in our Italian heliski areas, but the sun will be returning to the Aosta Valley toward the end of the week. In the Espace Killy, Thursday looks to be the clearest day of the week in the mountains, which will see temperatures at a high of -5°C regularly all week. Friday is the frontrunner for the coldest day, with temps looming around -19° C before the sun comes back out for the weekend. As we mentioned a while back, the continued snowfall has allowed us to start offering our Mickey’s Ears Off-Piste package in the Espace Killy and our 3 Vallees Off-Piste Experience, both with a heli pickup–so if you want a unique guided off-piste adventure whilst in resort, book with us to access these ideal conditions now. Val Heliski is throwing a party for our agents and partners in the 3 Valleys this Wednesday, so stay tuned for updates from that event in Courchevel Moriond (1650)’s Bubble Bar! Posted on Tuesday, February 11th, 2014 at 8:03 am. If you’re waking up with a grin on your face, it’s probably because you’re in the 3 Vallees! The area has about 15cm of fresh snow, but high winds resulted in many lifts–including the major Ariondaz lift in Courchevel 1650, the Saluire cablecar that usually gives access to Meribel, and the Vizelle lift in Courchevel 1850–being closed yesterday. There is plenty of snow on the pistes, and the off-piste conditions are satisfactory despite a heavier snow quality. Val d’Isere benefited from the intense bout of snowfall as well and is expecting another 40-or-so centimeters over the next few days. Even though we won’t be seeing blue skies, the snow will help improve the conditions in France…which are slowly creeping up to Italy’s high standard for the season. Take propecia reviews advantage of the powder and somewhat mild temperatures in the Espace Killy (between zero and ten degrees) and work on that off-piste skiing. At this rate, the conditions seem as though they’ll only get better from here. Tomorrow is looking like the ideal heliski day this week, so if you’re still looking for that perfect Valentine’s Day gift, there’s still time! Find one of our resort representatives and they can help you sort out the perfect package for your sweetheart. Who ever said stepping out of a helicopter onto untouched snow wasn’t romantic?! We have a group all set to go up this week, so look for photos on our social media and follow us (@ValHeliSki) on Twitter, Instagram, and Facebook if you haven’t already! Posted on Friday, February 7th, 2014 at 8:52 am. It’s a gloomy day around the Savoie, but that doesn’t mean it’ll stay that way for long! Les 3 Vallees is getting a nice dusting of snow as we speak, and L’Espace Killy will experience a mix of sun and snow showers for the foreseeable future, looking like it will begin to clear up by the middle of Feb (in just a few days already!). The Aosta Valley will start to see some sun toward the end of the weekend, and will be scattered with bright days next week. In other words, there are plenty of opportunities for heliskiing! Ready for the next big thing in each purchase propecia finasteride resort? Val d’Isere is busily preparing for the Frostgun Invitational Freestyle Event, which kicks off next week. Look for some VHS representation if you’re in town! This weekend, Ibiza Rocks the Snow returns to Meribel, complete with rocking concerts and apres-ski events. In Courchevel, Verdons by Night continues each Wednesday, so there are plenty of opportunities to ski under the stars. If you’re a history buff, check out The ski lifts epic : from Courchevel to La Saulire informative tour this weekend. History was made right in Courchevel! Posted on Tuesday, February 4th, 2014 at 11:49 am. …and a little shout-out! Check out this pretty cool article on My-Courchevel about why heliskiing is so hot right now–because it’s accessible, awe-inspiring, and always convenient with Val HeliSki. Contrary to weather predictions, today has turned out to be an excellent day in Les Trois Vallees! We were expecting some low visibility and snow showers, but the sun has appeared and the snow (still remaining from the nice dump over the weekend) is nice and soft. However, Thursday is looking like the perfect day for heliskiing over in the Aosta Valley, where it looks like there will be precipitation (ideally light, fluffy snow) continuing on into the weekend. This will ensure that the unbelievable powder stays and that the epic skiing conditions in Italy stick around as we head into the middle of the season buy propecia finasteride (already?!). The off-piste areas are well-skied, which means looking a little further out for some untracked powder. The slopes are starting to fill up with holidaymakers eager to being the February half-term, so exercise caution on those popular blues. Heliskiing is continuing to fill up this season, so make sure you reserve your spots with us early! Our online reservations team is available to answer any questions and take care of everything before you even arrive in resort. Once you’ve settled in your chalet, our representative will pop over and complete your booking…and yes, answer any last-minute questions. The benefits of reserving early include a larger weather window to ensure you make the most of the bluebird days created just for heliskiing. What are you waiting for? Call us today! Posted on Friday, January 31st, 2014 at 8:04 am. This was an outstandingly perfect week for heliskiing! We had three groups take advantage of the ideal conditions in Italy on Tuesday, with another large group doing our Mickey’s Ears Off-Piste Experience in the Espace Killy. The snow was light and fluffy, and the sun helped to take the edge off the biting cold–making the day a memorable experience for all! Be sure to check out our Facebook and Twitter feeds to see more photos from the day. For the weekend, the Aosta Valley is expecting precipitation with temperatures hovering between -10 and 10 degrees. The bluebird heliskiing days are looking to be early order propecia cheap next week, with a small window between snow falling, so call us to make your reservations if you’re heading out to the Tarentaise for the beginning of February half-term. We want to get you out and away from the crowded slopes to find some untouched backcountry powder. If you are in resort this weekend, check out the BMW Polo Master’s event in Courchevel, which is the place to be with all of the high-end sponsors and guests…you might even spot a Val Heliski rep amongst the onlookers! Stay tuned for weather and event updates as the heliski season continues. Bon ski! Posted on Friday, January 24th, 2014 at 7:45 am. It’s been a mixed week in the Savoie region, with flakes falling on several occasions and the sun making an appearance for a beautiful bluebird day yesterday. The dynamite is booming this morning in Courchevel as the teams prepare the mountain for the weekend crowds. What can we look forward to this weekend? Saturday looks like the best day out of the next few for heliskiing in the Aosta Valley, so if you’re arriving in resort before the weekend, contact one of our representatives to set up your trip! Les Trois Vallees received some fresh powder last night and are due to get more over the next few days; when you’re out on the slopes, be aware of sudden low visibility and dropping order propecia online uk temperatures as those clouds roll in. L’Espace Killy will be clear and cold, with some flocons possibly floating in on Sunday. Want to check out the conditions for yourself? Click here to be directed to the live webcams in Tignes!